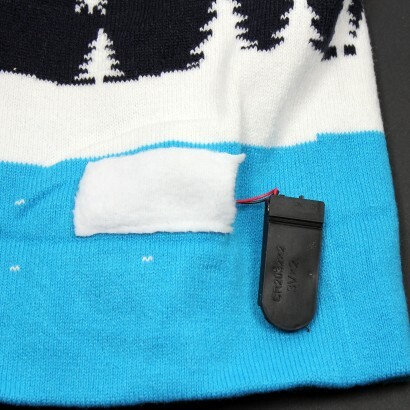 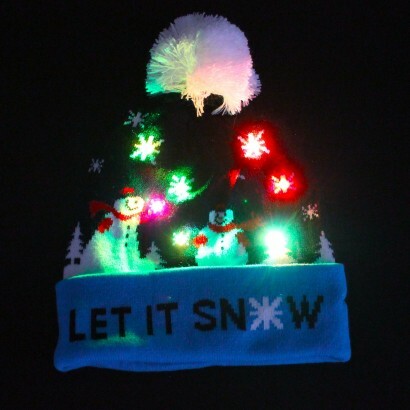 When the weather outside is frightful pull on a "Let it Snow" hat and brighten up your day with colour change flashing LEDs! 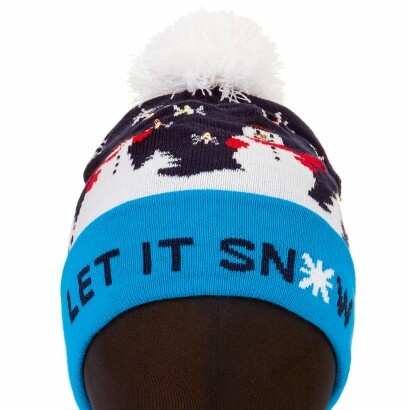 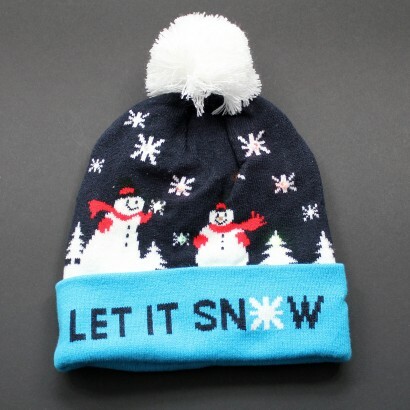 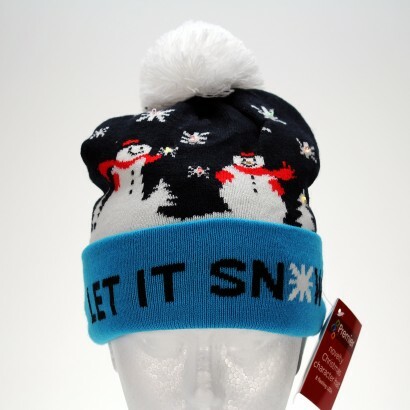 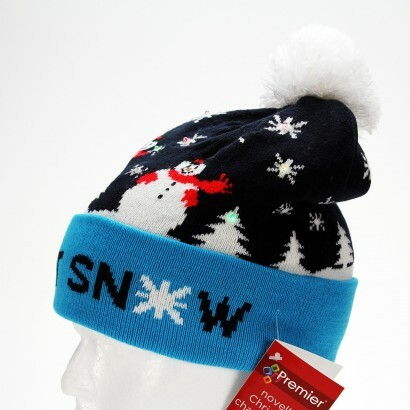 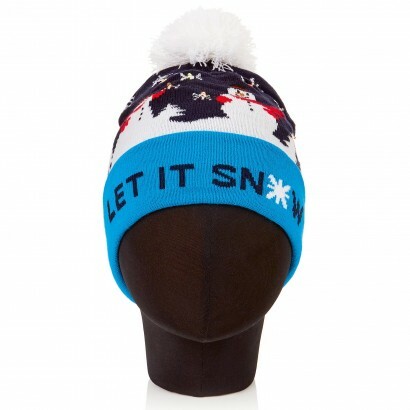 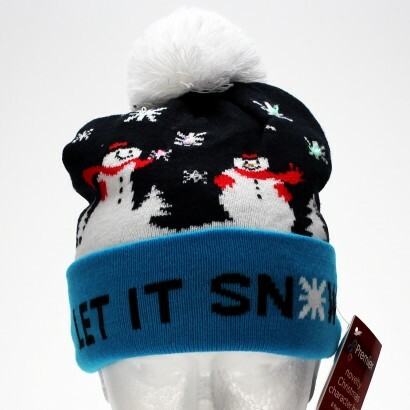 A warm and cosy beanie hat topped with a large white pom pom, this festive hat is decorated with playful knitted snowmen and features the words "let it snow" keeping you snug and the atmosphere fun! 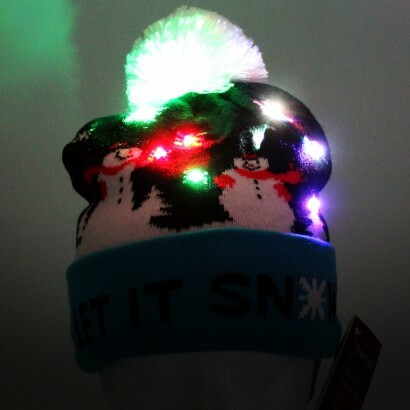 Lit with eight flashing colour change LEDs, this novelty winter hat will keep your ears toasty on cold winter nights adding sparkle to your evening.